Medical science has made extraordinary progress over the last few decades. But sometimes, traditional medicine can only go so far. What do you do when the normal, typical approach isn’t enough? For some, Tong Ren has provided an answer. Tom Tam, a Boston acupuncturist for more than three decades, has developed the healing technique of Tong Ren for those who have tried and failed to treat their ailments through traditional methods. 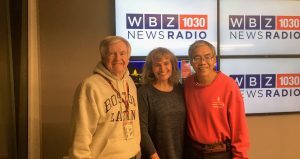 Tom and Julie Kalustian, one of his success stories, join Dan in the NightSide studio to talk about alternative healing and to take your questions. Have you ever tried alternative healing or been interested in exploring other options?